Where in the world does it all come together? In the garden. A great day is a day spent puttering in the garden. I am Mrs. Ramsey, except that I hear that she dies young and I'm trying to avoid that (except of course, for the way I am putting my liver to the test) except for of course, she's the one giving the praise and in that way I'm more like her poor husband, who always needs praise; and yes, I'll admit, I'm shamefully driven by praise. At least I've always said a good scratch behind the ears is all I need for a job well done, as if I were a just short-snoot pooch. And I have to wonder how that came to be. But now more recently praise seems kind of bereft and condescending. Good work, some one will say and I feel good, except that I don't, because of course it's good work. That's what I do. 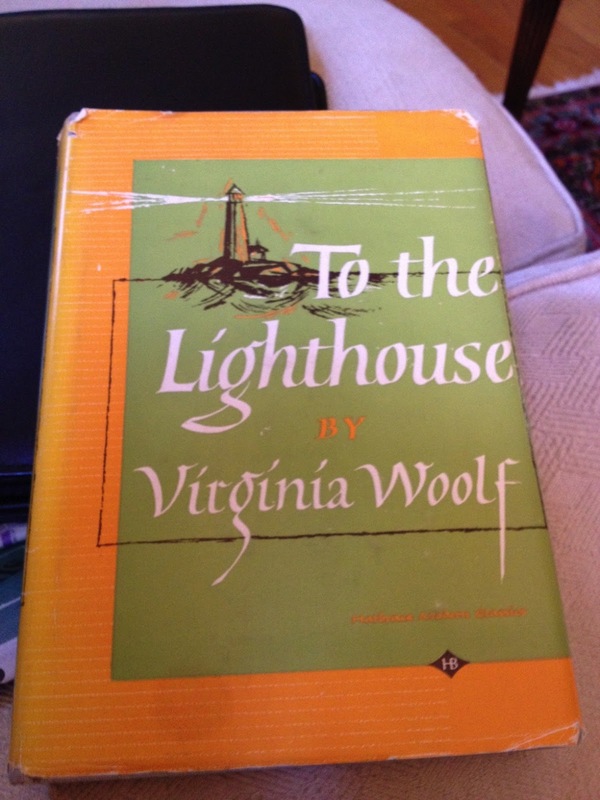 I'm reading Virginia Woolf and I'm deep into the dinner scene in her 1927 To the Lighthouse and it reminds me of the silent warfare taking place at the table of many a staff meeting. "There is a code of behaviour, she knew, whose seventh article (it may be) says that on occasions of this sort it behoves the woman, whatever her own occupation may be, to go to the help of the young man opposite so that he may expose and relieve the thigh bones, the ribs, of his vanity, of his urgent desire to assert himself; as indeed it is their duty, she reflected, in her old maidenly fairness, to help us, suppose the Tube were to burst into flames. Then, she thought, I should certainly expect Mr. Tansley to get me out. But how would it be, she thought, if neither of us did either of these things? So she sat there smiling." The ribs and thigh bones of their vanity—a phrase brilliantly etched like a drawing sketched. Poor Mrs. Ramsey, stuck in her time, married with eight children, fretting over her greenhouse bill, tied to a vain man; yet purposefully executing her wiles and ways over all who come into her domain, artfully pairing those who should marry, gentling prodding, carefully coddling, grandly and gorgeously lording over her super table, while silently slaying and deconstructing the personality of each of her guests. Would that I could write like Virginia Woolf, executing her prose with subterfuge and subversion, particularly when it comes to the hopeless unfairness of gender inequality. This phrase particularly reminds me of a former boss: "remembering how he sneered at women, "can't paint, can't write," why should I help him. . ." and forevermore Lily Briscoe must gird herself and restore her dignity. But the women exact their revenge, laughing at them, annoying them, teasing and despising them. Yet deep down inside, they are wounded as Lily points out, by the "most uncharming human being she had ever met." "Why did she mind what he said? Women can't write, women can't paint—what did that matter coming from him, since clearly it was not true to him but for some reason helpful to him, and that was why he said it? Why did her whole being bow, like corn under a wind, and erect itself again from this abasement only with a great and rather painful effort? She must make it once more." Would that I could write like Virginia Woolf. Tell me what you think in the comments area below each post. I love to hear from visitors. By day The Putterer, aka Beth Py-Lieberman, is an editor at a national magazine. 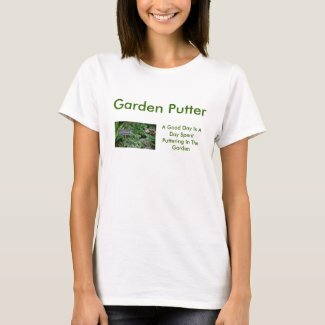 At night and on the weekends, when The Putterer is not busy as a wife and mother, she likes to putter in the garden. Where in the world does it all come together? In the garden. A great day is a day spent puttering in the garden. Where in the world does it all come together? UPCOMING: PERFORMANCE: All are welcome to the Mayor's 2019 Asian American & Pacific Islander Heritage Month Celebration at The Lincoln Theatre on U St on MON, May 6 from 7:00 pm - 8:30 pm, doors 6:15 pm, Free, RSVP to ensure your space! Wordless Wednesday: NWF and Scotts Miracle Gro - Just Say NO! Looking for Anika in Delhi? Garden Blogger's Fling 2011 - Seattle! Oh My Gosh! Oh My Gosh! Saturday and Sunny!